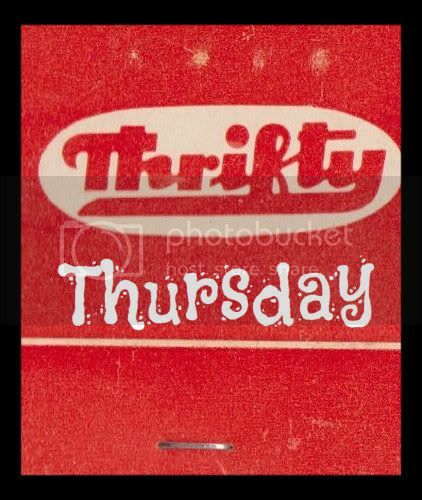 In lieu of Thrifty Thursday, which I have to confess I completely forgot about last week, I thought I would bring you a selection of my favourite beauty buys today, and some ideas for money saving wherever possible. I still think that this is one of the few areas where what you get is what you pay for, but there are some exceptions and bargains to be had. 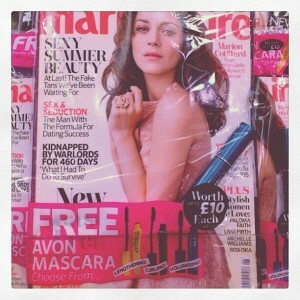 My first bargain buy is something I recently discovered free with this months Marie Claire, it's an Avon Mascara, RRP £10, but the magazine costs something like £2.70 and the mascara itself is FAB, really thick, non smudgey and really lifts lashes. I normally shy away from buying magazines as there is hardly any editorial anymore, but I needed a mascara anyway so thought this would be a good idea. As predicted, the magazine was dire. For quite a while now I've been a fan of Bare Minerals make up. When I first bought it I was sold the wrong shade foundation which was quite aging and looked plain silly. However I went back to store and got the pale-as-a-ghost shade also known as "fair" and am now completely in love with it. 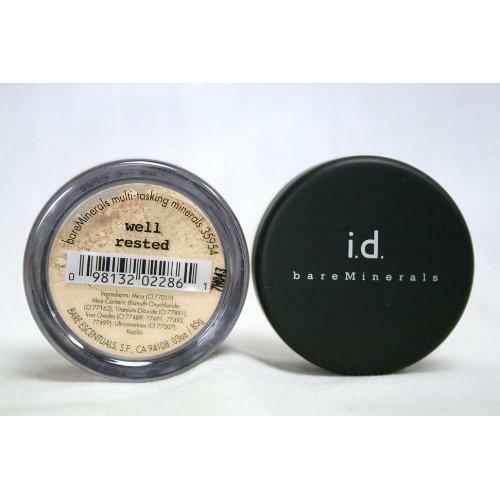 It is a little drying but lasts much longer than creamy foundations and has no line at the jaw. I use a bright pink cheek blush with it which gives the false illusion of healthiness. I also love their Pure Radiance powder for a subtle glow (though not so good on freckly skin). Having said that, I'm also a big fan of Origins pinch your cheeks blush, which is like a stain but lasts all day and looks really natural. However it's £13, though I buy it from Yorks Designer Outlet in one of the beauty shops for much cheaper. Speaking of the designer outlet, that's also a great place to get MAC products, mainly eyeshadow but also the elusive face and body foundation which can't be bought in concessions. If you like Clinique you can also get discounted moisturisers, cleansers and the like there. Anyway, back to Bare Minerals. It's pretty pricey to be honest, but bargain mummy here has a special ebay store that I buy the foundation from for half the price! The packaging looks slightly different which I am putting down to it being from the US. It does the job though so I'm not asking too many questions (like why is it half the price of Bare Minerals in Debenhams?!). I also love Well Rested, a concealer also by Bare Minerals. It is since using this that people no longer comment on how tired I look, it saved me through my 14 months no sleep hell. My last beauty bargain has to be the delightful TK Maxx, it's a great place for St Tropez fake tan and is much cheaper than Boots etc. There are also loads of "high end" shampoos and conditioners on offer. I recently bought some Louise Galvin shampoo and conditioner for £6.99 each down from £22 and it's divine. What are your beauty bargains?! I got that free mascara and I'm loving it :) Total bargain! It is isn't it! I love it! I'm not normally one for OTT make up but this one looks OTT for the first hour then settles down, I love it!